Did you see this? 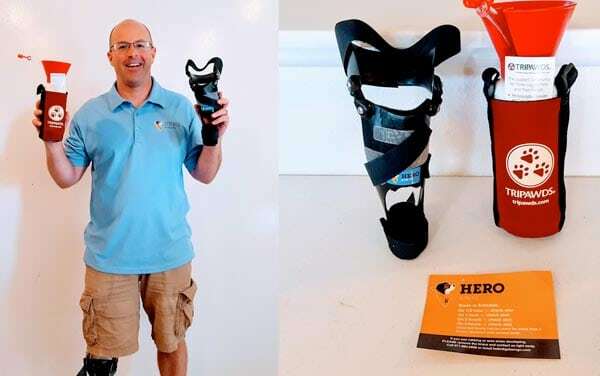 For a limited time, Hero is helping Tripawds by including a free Cool Pooch water bottle and information about our assistance programs with the custom dog braces they are sending to customers! As an osteosarcoma survivor and amputee himself, Ben supports the work we are doing here at Tripawds. And now by popular demand, we are happy to announce how you can get your own Cool Pooch bottle! In an effort to keep up with our fundraising goal for the year, we are now offering a limited number of Cool Pooch sport bottles to all donors who contribute at least $20 to the Tripawds Foundation. Select the $20 Limited Time Offer when making your charitable contribution below. Get your Tripawds Cool Pooch dog water bottle! Feel free to donate more than $20 to cover shipping costs and please help spread the word. See how many bottles are available below and watch as we get back on track toward reaching our goal! Thank you for your support! No more bottles are available. 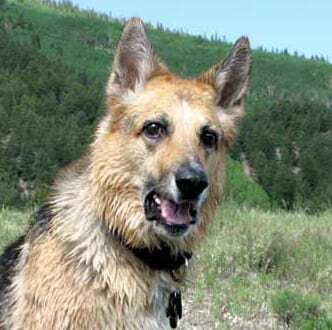 Please visit the Tripawds Donations page for details about other rewards for your charitable contribution. The unique design of Cool Pooch sport bottles provides both you and your dog with a fresh water supply to safely share anytime! Drink from the straw, and squeeze the bottle to fill the attached bowl. 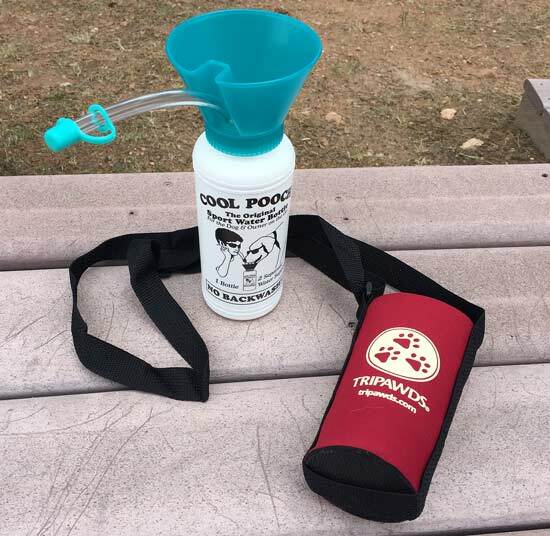 The convenient Sport Sac is imprinted with the Tripawds Badge of Honor, so whenever people ask you about your cool water bottle you will never forget to tell them about the many Tripawds resources and assistance programs. Your contribution helps Tripawds everywhere, in so many ways!